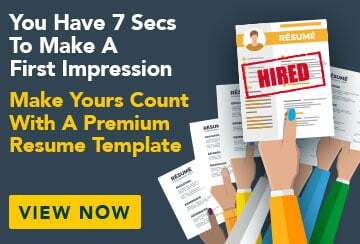 This free sample cover letter for a registered nurse has an accompanying registered nurse sample resume and registered nurse sample job ad to help you put together a winning job application. Please accept my application for the full-time position of registered nurse with St John’s Royal Hospital Theatre Services Unit as advertised on seek.com on 1 August 2009. I am an experienced nurse with current QNC registration and a passion for nursing and patient care. For the past year I have worked as an integral part of the busy team at the Royal Prince Albert Hospital Emergency Department. This is a level one trauma centre with 43 ER beds, three trauma bays and over 80,000 ER visits annually. I have thoroughly enjoyed my time here but am ready to make the move to theatre, as this is where my real passion lies. My experience in the Emergency Unit has given me the exceptional capacity to multitask and manage competing priorities easily while also delivering superior patient care. Upon graduating from the University of Queensland I was selected to participate in a 12-month graduate program at Royal Prince Albert Hospital. This gave me experience across a broad range of disciplines including oncology, emergency and neonatal care. It gave me strong administrative and referral experience including admissions, assessment, treatment and education. I have exceptional knowledge of Occupational Health and Safety issues, as we were required to do regular training on this throughout the program. I have outstanding interpersonal and communication skills when dealing with patients, families and other team members, and great accuracy in patient history, charting and other documentation. I am committed to the care and treatment of patients of all different ages and medical histories, and I think I would be the perfect candidate for this role. I look forward to discussing my suitability for the position with you further. Looking to study online? Browse through our range of courses and start today!